Like a strong wind blowing across the land, the Lone Bellow has returned with Walk Into A Storm, their latest collection of Americana-laced folk rock. It is the former Brooklynites’ third album, created in their new hometown of Nashville, Tennessee. On Walk Into A Storm, the Lone Bellow embrace rock, country, folk, gospel and soul, but they shed new light on those tried and true musical forms with a youthful exuberance. The band — lead singer and guitarist Zachary Williams, bassist and multi-instrumentalist Kanene Donehey Pipkin and guitarist Brian Elmquist — formed six years ago, releasing their self-titled debut in early 2013. The trio recruited Aaron Dessner of the National as the producer of their 2015 album, Then Came The Morning. For this third album, the Lone Bellow brought in Grammy-nominated Nashville producer, Dave Cobb (Jason Isbell, Sturgill Simpson, Lake Street Dive). Walk Into A Storm, their third release, has a title that parallels the trio's musical muscle — it's a perfect metaphor for the Lone Bellow. At the heart of the group’s might are their vocals: Williams up front and supported on backing vocals by Pipkin and Elmquist. Their voices soar over rich melodies with full-bodied arrangements. On the flip side, encouragement abounds in the rousing “Between The Lines” while positivity thrives in the string-laden “May You Be Well,” reminiscent of the sentiment expressed in Bob Dylan’s “Forever Young." 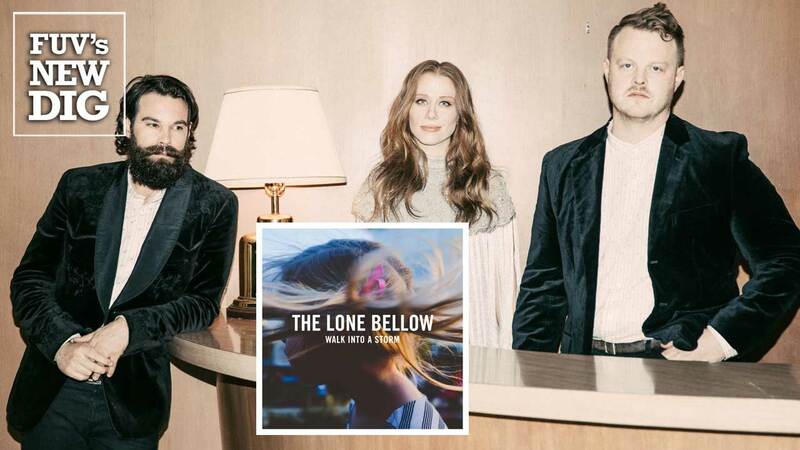 The Lone Bellow writes music that bursts with emotional passion and earnest sincerity. Whether summoning the darkness of an impending storm or the warmth of a sunrise, Walk Into A Storm is a beacon for the heart and mind.